“If I knew then the Meepits were up to no good, I would have banished them all"
The Best Neopian Annual Events! 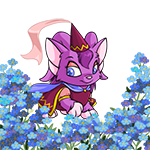 On Neopets there are a lot of events and opportunities that come around approximately once per year, and if you blink you might miss it. People spend months preparing for these things, while others wait until the last minute to get ready for the big event. Some may present avatars, while others come with new outfits and paint brush colors, and some come with no reward except the joy of the day. I wanted to create this little guide of yearly events so you can be prepared for the upcoming year and mark off your calendars now. Before it's too late! I can't reveal all of the details of each events, it could be a deep secret that is too precious to publish in the Neopian Times, but it might be something you want to sleuth into on your own time. When people first meet me on this site, the first thing they tell me is that “I have a lot of nice looking Usuls”. That is then followed up usually with “can’t you own anything else but Usuls?” Well, the answer is simply no! In my last article, I discussed how owning one species is a very good thing. I did keep mentioning my Usuls but I never did explain why I have this Usul obsession. So, in this article, I am going to give you my top ten reasons why I absolutely adore Usuls. #1: That cute and fluffy tail.This one should give you a bit of a chuckle but here me out. Usuls have such a cute and fluffy tail and most of them have a cute bow attached to them (only the royals, Usukis, desert, Halloween, Maraquan, pirate, and robot do not have a bow with them). It’s that time of year again, with short days and cold nights. Day of Giving celebrations are over and now there is little to look forward to except the distant promise of spring, and the knowledge that the days are getting longer from here on out, even if the coldest months are to come. So what are the best ways of wrapping up warm and keeping cheery? Here we divulge some advice on dealing with the winter blues. The first thing I noticed was the awful burning smell. It was unbearable. Something sizzled. I could hear crackling like lightning. My face was pressed against a cold, tiled floor. “…And she changes colour to Woodland!! !” My skin tensed up. It turned hard. The tension radiated from my chest out to my fingers and toes, as my skin seized up in wavy patterns like tree rings. I remember my tail used to softly flicker and blow in the breeze, but on that day at the Lab Ray, it solidified and began to sprout. My chest felt hollow. This is not how a normal Kacheek should feel, I thought. I don’t know why my owner Katie takes me to the Lab Ray. Usually I feel stronger or weaker afterwards, but occasionally my appearance changes altogether. Since my birth almost eight years ago as a Blue Xweetok, I’ve been: a Blue Kau, Ghost Kougra, Cloud Eyrie, Faerie Eyrie, Checkered Eyrie, Pastel Zafara, Island Zafara, Sketch Zafara, Biscuit Zafara, Red Shoyru, Red Kacheek, Snow Kacheek and on that fateful day, Woodland Kacheek. "If I knew then the Meepits were up to no good, I would have banished them all," King Skrarl mused to himself on a crisp autumn morning. His eyes wandered out the window and up into the thick smog in the Northern mountains. "Wretched beasts, the lot of them!" he said to himself aloud. It was the beginning of the day after an inauspicious attack upon the northernmost village in Meridell. The Meepits had briefly returned from a venture to Kreludor where they were to be rented by the Kreludan Institute of Research for purposes of gathering information on the terrestrial inhabitants of Neopia. The deal included loaning out a group of fifty Meepits to be studied and unharmed in exchange for one hundred thousand neopoints. This deal was now weighing heavily on the king’s mind. He never received payment, his Meepits were no longer serving his kingdom and he now was forced to create a plan of action to save the northern village. King Skrarl presumed the Petpets had turned their backs on Meridell but could a more sinister event have transpired? The rules of the game were simple. Dracky knew that all he had to do was sent to familiarize himself, and then go fly off around Meridell in hiding while they came to find him. He knew this. Nanci had them all practice weeks before Meridell Day. So why was he getting so nervous?! He stared down at his legs that couldn’t seem to stop shaking. Dracky pushed his legs down into the ground in an attempt to quell the movement, but the tension only seemed to make it worse. He let out an impatient huff, smoke billowing through his nostrils and upwards to the roof of the stable. Uh oh, he frantically flapped his wings to rid the smoke, fear of a fire starting. Nanci would really be mad at him then. He couldn’t help it though! He was a fire Dragoyle, and Nanci had him inside a barn, made out of wood. It really wouldn’t be his fault if something happened how would it? What did she honestly expect?The barn door suddenly swung open and Dracky’s forgotten nervousness came rearing back. He stomach swooped somewhere down to the ground and he apprehensively made his way to door of his pen. In need of some new threads? The rules of the game were simple. Dracky knew that all he had to do was scent to familiarize himself, and then go fly off around meridell in hiding while they came to find him. He knew this. Nanci had them all practice weeks before Meridell Day. General Hadon stood in front of Queen Sankara, arms folded. 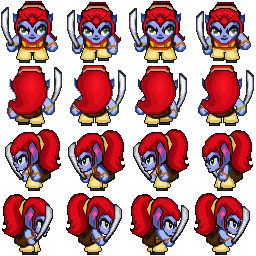 The Grarrl didn’t like the Queen, and it was relatively obvious from his previous workings with her brother, King Frezon, whom Hadon had admired as a war hero.